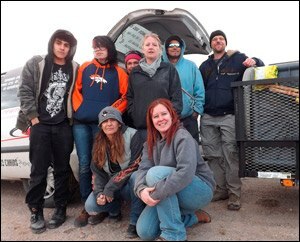 Volunteers of NMDOG are pictured in front, from left, Angela Stell, president of the nonprofit animal welfare organization, and community outreach team members, Tamra Miller; in back, from left, Nathan Baca, Angel Romero, Tina Holguin, Jenn Toennies, DJ Ward and Steve Allen. NMDOG, a nonprofit charity to promote animal welfare in the state, began visits to Valencia County last month. Volunteers of the organization travel all over the state, educating people about animal care, advocating for dogs and providing immediate provisions.The group walked the streets of Meadow Lake Monday to distribute dog houses, straw bedding and dog food for animals chained up outside that lacked those provisions. 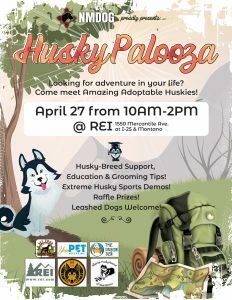 Stell has worked in animal rescue with various New Mexico organizations for the past six years and founded the nonprofit NMDOG in June 2010. The organization advocates against chaining dogs. During the group’s walk, they found a dead dog chained up at an abandoned house, starved and mauled by free-roaming dogs. Dogs are pack animals that thrive and prosper in social settings. Chaining them up outside isolates them from interaction with their people, so they develop neurotic behaviors as a consequence, she said. The area they are confined to deteriorates and can promote canine diseases such as giardia and coccidia, and because of neglect, the dogs often suffer from heart worms, anemia caused by fleas, embedded collars and muscular damage. Dogs that are constantly tethered strain at their chain and develop larger muscles in front, while their rear quarters atrophy, and the weight of the chain can cause stress on their skeletal structure over time. One chain exchanged by a dog owner for a harness and trolley weighed 54.3 pounds, Stell said. “Chained dogs, usually over a lifetime of being chained, either completely shut down and are despondent, having completely given up, or they’re just so hugely aggressive that they can’t be rehabilitated,” Stell said. “It’s very rare for me to take a dog off the chain and be able to place them into a foster home immediately. I usually have to do weeks, sometimes months of behavioral rehab with them in order to place them into a home. Chained dogs are also vulnerable to attack by free-roaming dogs, especially female dogs that aren’t spayed, and chained dogs without cover from the summer sun will not get relief in a doghouse, which is 10-20 degrees hotter inside than the heat outside. Dogs chained long term are also likely to develop an exaggerated territorial attitude, and are more likely to attack children who enter the yard. Another big problem is pack dogs, she said. Packs of dogs have been known to attack children, some even resulting in death, as in the recent case reported by the Albuquerque Journal of 8-year-old Tomas Jay Henio in Pinehill, about 55 miles south of Gallup. He was reportedly attacked and killed by nine dogs that belonged to his great uncle, who had taken in the abandoned animals over the years. Stell said dogs in packs are a huge public safety hazard. Two neglected pit bull puppies, wormy, starving and shut outdoors were surrendered by two different breeders on Monday. The pups are considered litter rejects. There are a lot of pit bull breeders and puppies with the parvo virus in Meadow Lake, she said. The group took both of the young dogs back to Albuquerque where they have kennel and veterinarian arrangements. The pups were vaccinated and will spend 10 days in quarantine before going to foster homes. NMDOG provide a number of services, including access to reduced rate spay and neuter programs, as well as community outreach. 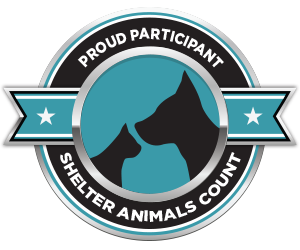 To report a dog, volunteer or make a donation visit the NMDOG website, nmdog.org.